What are the magic ingredients for a successful meeting? A meeting in which participants build relationships, exchange ideas, unearth insights, make decisions and get the information they need to move work forward? We all know there’s no “magic” that comes without preparation and hard work. 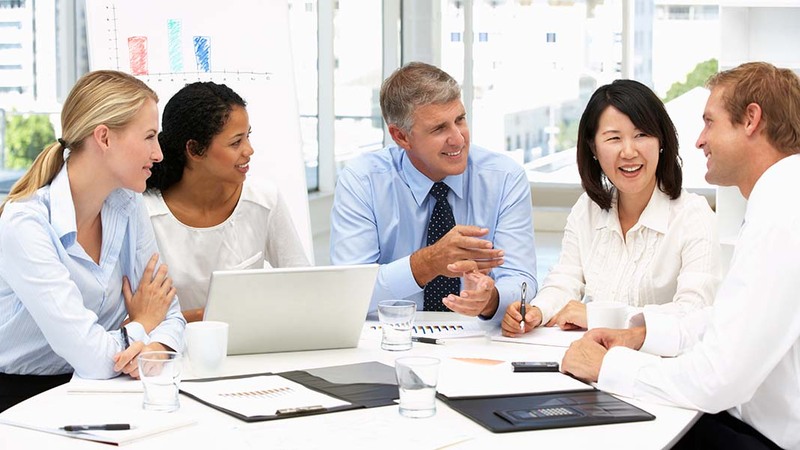 But there are five basic principles that underlie successful meetings. Incorporate these five meeting principles throughout the meeting cycle and watch your meetings bloom. Different perspectives enrich a conversation, strengthen a team and generally lead to better outcomes. Good meeting leaders establish a safe and open environment in which participants can voice their concerns. You don’t have to transform your entire organization’s meeting culture to make every voice count in your meetings. Keep the group small and manageable by only inviting team members whose perspectives are needed in order to achieve the meeting objective. Make other participants optional and be sure they receive a copy of the meeting notes so they stay in the loop. Be respectful of people’s different communication styles and preferences. Use strategies that meet the needs of introverts and extroverts. Different ways of communicating information like text, charts and audiovisual clips can appeal to different learning styles. The priority is to make information clear and accessible to everyone in the group in order to optimize engagement. Meeting preparation often starts with the meeting leader, but doesn’t end there. Team members also need to prepare for the meeting. As a meeting planner, you facilitate meeting preparation by creating a thoughtful agenda in advance of the meeting. But if you’re the only person who is ready for the conversation, you risk spending extra time during the meeting setting up the context, the conversation wandering aimlessly, and team members feeling lost, not needed, or that they’ve wasted their time. On top of all this, the objective isn’t met and you find yourself scheduling another meeting to continue this conversation. Include meeting pre-work as part of the agenda that you share with participants ahead of time. Pre-work is an assignment for meeting participants so they know exactly what to do prior to the meeting. It often establishes context or prompts reflection, so the meeting time can be spent engaging more deeply in dialogue to move work forward. Influence others to prepare for meetings by asking for their help in the agenda creation process and sending them reminders about completing the pre-work. Setting up team preparation norms will help reinforce this behavior. How you begin and end your meetings can have more impact on its success than you might think. People enter the room (physically and virtually) with other topics on their minds. They may not even remember exactly which meeting they are walking into given a full day of meetings. It’s critical to begin the meeting thoughtfully in order to support the mental transition into the meeting conversation. Similarly, the end of a meeting is often hurried with some people sneaking off to another meeting before this conversation has fully concluded. Ending the meeting with intention helps participants feel their time was well spent. Start by reminding participants why you’re there and what you plan to accomplish. Ask participants to set aside distractions like cell phones and emails, and to engage in the meeting content. Use a quick check-in procedure to help your team focus on the conversation and quickly get everyone participating in the meeting. End the meeting with a wrap-up session that reviews the tasks and decisions made during the meeting. This ensures that next steps and outcomes are clear, there is closure and the group feels a sense of accomplishment. No matter how productive the conversation, if the meeting outcomes aren’t implemented, the meeting was, in some ways, still a waste. Next steps get left behind and decisions are forgotten, making it hard to continue the momentum. So why spend time clarifying follow up items if they are only going to be abandoned? Record notes, ideas, learnings, decisions and other information so it can be easily shared and accessible in the future. Send meeting notes within 24 hours of the meeting’s completion and be sure to include non-meeting stakeholders who should be informed. Make sure someone is accountable for each action item so it gets completed. Transfer your tasks to your personal task system so those items don’t fall through the cracks or use a system that automatically puts your tasks from meetings onto your to-do list. Take the time to develop a process that works for your team’s meetings. Creating a shared process will make it easier for everyone to support effective meetings. The time you spend upfront developing a system will pay off down the road. When you have a process in place, don’t let it grow stale; instead, continually reflect on and iterate the process. Conduct team review meetings every few months to review your current processes for meeting planning, facilitation and follow-through. If your organization does not have existing meeting processes, or you’re trying to overhaul a team culture, let a model like the Getting Things Done (GTD) method or the Meeting Canoe inspire your process. Does your team practice any of these key principles? Which ones could you start implementing today? Author: Mamie Kanfer Stewart is the Founder & CEO of Meeteor, a company designed to empower organizations to leverage their meetings to drive productivity and achieve greater results.